The program aired twice on TPT and features an interview with Augsburg College alumna Amineh Safi ’14 who provides insights into the Islamic view of forgiveness. Read: A Minnesotan’s ode to forgiveness at the end of a difficult year on the Star Tribune site. Watch: “Exploring Forgiveness” on the TPT site. 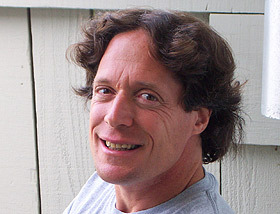 The 2012 Center for Counseling and Health Promotion convocation will feature Frederic Luskin, PhD of Stanford University. The convocation lecture will be held Saturday, February 11 from noon-1 p.m. in Hoversten Chapel, Foss Center. This event is free and open to the public.